Ali Ritter and Chris Solomon inspecting a slope on the Chiwaukum Traverse. Washington. Every season around this time—often sooner—we start dreaming about winter. Before long, our dreams turn into plans and plans become reality. This evolution from office-time daydreaming in the fall to shredding wintertime powder is a process that we shouldn’t take lightly, and it rarely is, especially when it comes to our gear. If you’re a backcountry snowshoer, skier or rider, odds are you already prep for the coming snow. It’s good practice to prep for your season by changing the batteries in your avalanche beacon, getting your skis/board tuned, dialing-in your pack and other gear, and maybe you’re even sweating away in a conditioning class at your gym. Volumes of enlightening articles have pontificated about this pre-season ritual—both print and online. But what about a tune-up of your brain? Getting your brain thinking in the right way about traveling through the winter backcountry is often overlooked. But, if you’re like most people frequenting the backcountry, you’ve probably had some kind of formal training along the line. That’s great, and crucial, but since you took that first class, what else have you been doing to keep your most important tool—your brain, a.k.a. your backcountry compass—tuned, and your decision-making processes strong? Simply logging days in the backcountry does not suffice as experience enough to keep you safe. Yes, that experience is super valuable, but without linking our specific personal experiences with the experiences of others through education and training, we’re too prone to making decisions in a bubble. 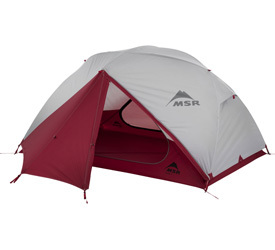 Your decision-making process is the most critical tool in your backcountry kit. As you make choices in the backcountry, you should be constantly challenging yourself with questions like: What’s wrong with how I made that choice? What was my metric for analyzing my decision? Because I wasn’t caught in an avalanche, does that mean I made good decisions? Or was it luck? What percentage was luck and what was experience? Questions like these help turn our days experience into valuable lifelong experience. And this sort of questioning is something that seasoned professionals ask of themselves after every day in the backcountry. One of the best ways to strengthen your decision-making process and mitigate gaps within it is to have process in place that you adhere to—and to continually educating and re-educate yourself. It’s long been understood in our industry that regular training is a key component to avoiding avalanches. In fact, in a paper written by avalanche guru Dale Atkins in the late 90s, he outlines the stark contrast between having an avalanche professional rescue you and a recreationalist. The point being, with their routine training, continued education and consistent practice, professionals are far more prepared to rescue you successfully than your buddy, who doesn’t have that experience and constant training. The same can be translated to any action or decision in the backcountry—the more you practice and the more you train, the more prepped you are to handle an issue properly. Sure, a lot has changed with beacon technology since Atkins’ paper was published, but the key takeaway still holds true: training, both physical and mental, is imperative to your chances of survival. So what you can do? Train like a pro. We spend countless hours training to be a better triathlete, a more proficient employee, or a top student. So why not a smarter, safer better backcountry traveler? While we all go to the mountains in the winter for myriad reasons, we can probably agree that we do so to feel better and learn about ourselves. At NWAC, our field staff average over 10 years of professional experience that includes at least of 100 days of formal training. Each year, they complete around six days of training and spend about 120 days on the snow… And all that experience still doesn’t make them completely infallible. The backcountry is a dynamic environment—always changing. Leaving the trailhead without a plan is a recipe for bad decisions. When working, pros create a detailed plan for the day. A key component to this is ruling out terrain, or, defining where you will not go that day. It’s okay to be lucky, but understanding when you were lucky and when you consciously made a good (or bad) decision is key to gaining valuable expertise. Debriefing every day you go out is the experts’ key to turning a day on the snow into real experience. Take a class. Go to a workshop. Read. Hire an expert to take you out. All of these are great for honing your head for staying safe in the BC. 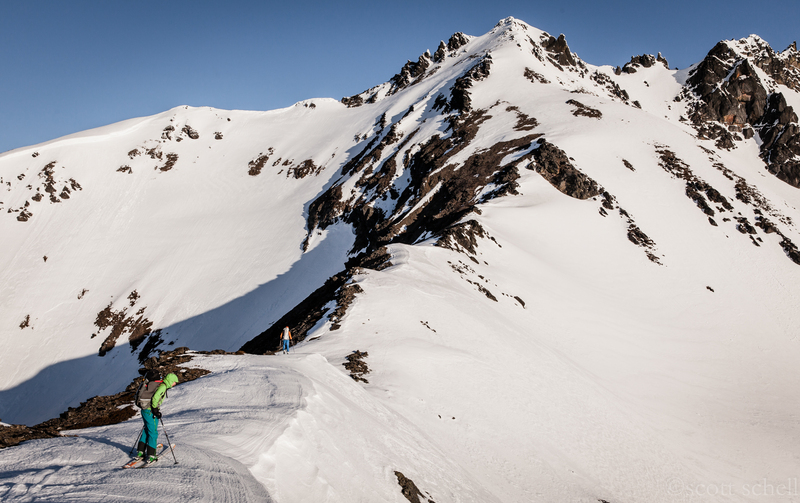 Ali Ritter and Chris Solomon – on the Chiwaukum Traverse. Washington. Moving around in the mountains can be very rewarding, but it comes with a tremendous amount of responsibility and potential risk. Just like you want your doctor, pilot, fellow drivers, and CEO to be up-to-date on their training, you should perceive the risk of your own recreation on those endless sunny powder days. This season, start treating your high-risk, high-reward endeavor like a professional, so you can experience the enjoyment at that level too! Here are some options get your brain up to speed for the upcoming winter. There are a lot of short-format options out there to augment standard avalanche training. Here at NWAC, a few years ago we launched a program called Going Deep which targets backcountry users who have formal avalanche education and gives them practical tools for decision-making. Scott is the Program Director of the Northwest Avalanche Center (NWAC) in charge of the education program and observers network. He is a certified AMGA Ski Mountaineering Guide who has guided throughout the US, Alaska, Canada, and Europe. 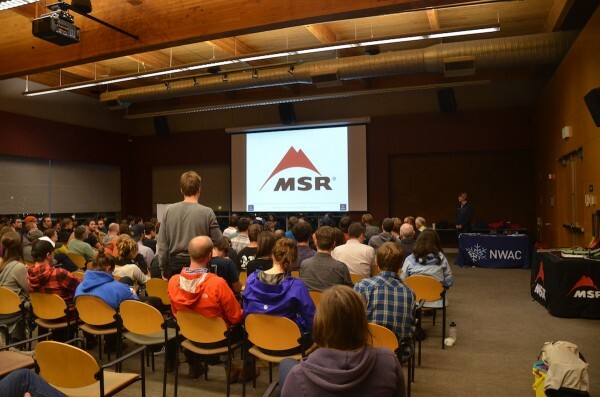 He is a former AMGA ski discipline instructor and AMGA Board Member. An avid ski mountaineer, Scott has been involved in avalanche and guiding education for over 16 years. He is an Instructor and Instructor Trainer for AIARE. Scott is the co-author of Backcountry Skiing, Skills for Ski Touring and Ski Mountaineering. Originally published October 14th, 2014.